Those obsessed with so-called experts should thank their lucky stars that Wikipedia does not have an article about Church of Latte-Day Saints. The Church of Latte-Day Saints or Coffmons, for short, is a religious organization established in Canada early on in the 3rd century by Lord Starbuck IV. The religion was created for caffiene addicts and coffee aficionados everywhere. As of now, the religion of Coffeeism is a widely recocnized religion in over 7,000 countries and 12 planets, with 97.3% of the universe's population registered as a member of this cultchurch. According to the Bible of Caffinated Beverages , Coffeeism dates as far back as the year of 222. The bible states that Lord Starbuck IV of Canada had grown tired of the people's rejection of coffee. 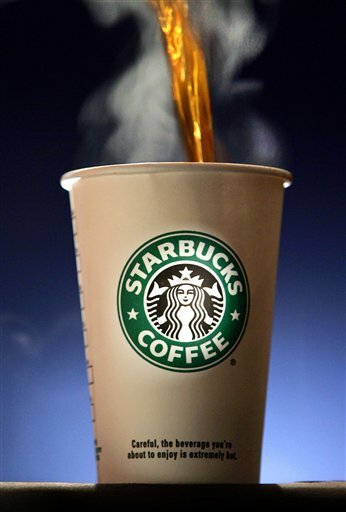 At the time, coffee was a new form of caffeinated drink, but its strong taste supposedly made people invent Sweet 'N Low, which Lord Starbuck was not pleased with. On this one fateful day, he decided to gather a group of gullible individuals to be his "followers" as lovers of pure, un-saturated, coffee. In one year, Starbuck had only gathered 11 followers. The religion was not kindly accepted by the public at its time of introduction, and its size remained the same up until the mid-900s. One of the relatives of Starbuck himself, Lief Starbuck, had rediscovered his great-great-great-great-great-great-great-great-great grandfather's original scripture writings for the Bible of Caffeinated Beverages. Lief studied these writings for several months, and decided to revive the religion. He traveled the world telling people of this great religion. He had gained hundreds of followers, who had also gathered a handful of followers. This led Lief to establish the first church of Latte-Day Saints, which he simply called Starbucks. As soon as the religion of Coffeeism reached Iraq and Mars, the size of Coffmons had Sextupledin size. By the late-1500s, the religion had reached over 1 billion registered members. In fact, William Shakespere, Galileo, and Freddie Mercury had all been notable figures of Coffeeism in the 16th and 17th centuries. However, the religion's popularity had begun to fade in the 1990s when people discovered how obsessive many celebrities had been over it. Among the annoying celebrities were Tom Cruise, Some Dude, and Kurt Cobain. But, the president of the Chruch of Latte-Day Saints ensured the world that Coffeeism still pwned. After this, the popularity and size of coffeeism had gotten Harder, Bigger, and full of substance. Today, the Coffmons hold their place as the largest religion in the universe, just barely beating Douchebagism. People still widely accept the religion's beliefs (especially since Tom Cruise isn't a member of it anymore) and the way they live. Coffmons are also the second most-tolerated religious group behind the Tolerist members. Coffmons are often laughed at for their unusual set of beliefs. The only sin of Coffeeism is sleep. A regular seven hours of sleep in one night may be one-way ticket to coffee hell. Coffee hell is place that is believed to be an awful place for coffee-freaks that deprives them of caffeine and gives them a regular night's sleep every single night for eternity. Coffmons also believe that a giant pot of Coffee will descend from the heavens and pour its steamy hot goodness all over the non-believers, burning them to death. The coffmons will be spared and forced to re-populate the Earth with an endless colony of Coffmons. They spit on those who drink anything decaffinated as well. There was a major outrage against the Coffeeist Church when its members were going door-to-door trying to sell coffee to people. Some old dude stated, "It seems like a kind offer at first, but when you say just one word, they throw the coffee all over you and shout 'The power of coffee compels you!'. I think they were trying to convert me or something. But, the coffee was pretty damn good." The Latte-Day Saints have an unusual setup for "holidays". They actually have a holiday occurring on every day of the year. In fact, most normal people find these holidays to be rather "n00bish", as described by some dude on the internet. Here is a list of the more significant holidays celebrated by Coffmons. This page was last edited on 10 September 2012, at 05:56.